From the bank’s perspective, your mortgage is an income-producing asset, and it can be sold to another institution at any time. In fact, this is quite commonplace. For example, all of our mortgages (four total, including two related to refinancing) have been sold off by the originating institution within a few months. The good news is that the terms of the mortgage do not change when this happens. Returning to the issue of bank failures, if the bank that holds your mortgage were to fail, the FDIC would step in and oversee the sale of their assets to another institution. Your mortgage would thus be transferred to a different lender, but the terms would remain the same. Shortly after the transfer, the new lender should contact with you instructions as to how and where to make your payments. Mortgage transfers are accompanied by a 60 day grace period during which you cannot be charged a late fee. As an aside, the current financial turmoil seems like a great opportunity for scammers. Given all the news about banks on the edge of failure, I’m sure it wouldn’t take much to convince unsuspecting homeowners to send their mortgage payment elsewhere. So… If you receive a letter directing you to change where you’re sending your payments, be sure to double-check before acting on it. I want to sell my house. However I did a title search and something happened to my title. When I purchased the home the owner carried part of my loan. I learned they had passed away.The other part of my loan was paid off. I refi the loan. I think that Ameriquest did not pay off the owner’s heirs. Then I was sold to World Savings who did own my title either. Now ameriquest and World saving is no longer in business. World Savings in turn sold it to my current Bank. I think my current bank does not legally own my title either. I’m not sure if I can sell my house now. Please advise. 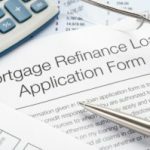 How do I find out who bought the loan for an abandoned house? Fremont Investment and Loan is listed as the mortgage owner, but does not exist anymore. My bank failed and another bank bought the accounts(loans). We also had a $200,000 line of credit. Can the new bank hold my loan(contract) and not honor the line of credit ? I tried to use the line of credit and they would not let me . 1) FDIC most likely sold my mortgage for a discounted price, why do I have to pay the original loan amount? 2) Should I file for Chapter 11? blog posts. Any way I will be subscribing for your feeds and even I fulfillment you access persistently rapidly. The almond tree is a native tree originating from Asia and the Middle East. and how smooth and soft it feels very quickly. Could you please direct me to where I can file a complaint against an underwriter? We sought and were given a mortgage with Towne Bank of Currituck for a property in the Outer Banks. We have the mortgage, already made a payment and the deed is in our name. However, when we originally sought the loan, the bank had an appraiser go out to the property and he indicated that the property needed some repairs. (It did.) He indicated that the whole house needed to be resided and, that there was water in the street in front of the house. Please note that the 4 wheel area of the Outer Banks does not have roads, only sand trails that you drive on to get to the house. You are not permitted to do anything or make any changes to the road whatsoever. We disputed his assertion that the whole house needed to be resided and brought in (at our own expense) a builder and a licensed inspection company who agreed and said that only a portion of the house needed to be resided. Please note that it is a cedar shake siding and only a portion was damaged. The Bank said that the underwriter indicated that they did not need the appraiser to sign off on the property and that they would accept the builder and inspection reports. We agreed to complete the work and the builder gave an estimate of repairs, we signed the contract and the bank kept 1 and 1/2 times the contract amount in escrow. We were given 30-45 days to have the work completed. We were then told that they needed a reinspection to prove that we in fact did have the work done. When we called the inspection company to come back out, they were unable to physically come out until after the 45 day deadline. They checked with their licensure board and found that they could give a report based on photographs, before and after of the work being done and a notarized affidavit from the builder, along with a paid invoice. We submitted and paid for all of the above. The underwriter informed the bank that they will not accept this and want an actual physical inspection and then sent out the original appraiser who did not agree with the work to be done in the first place. Obviously we don’t feel we can get a fair shake with this. We called the bank and asked if we could get an extension and have the inspector, not the appraiser, come out and give a final report. They said no, they will send out the appraiser. We have expressed our concern at the appraiser being sent out yet again as he was difficult, at best, and would not even consider talking to the builder or the inspection company about his opinion as compared with theirs. Now he will have the final say? How can that be? How can we expect him to be fair at this point. The bank is holding the money and to make matters worse, we were ordered to pay the builder to do the work out of our own funds and that they would not release any funds from the escrow account (like a builder’s loan). Then they indicated that once the reinspection was done, they would release the funds to the builder. Whom we have already paid! We contacted them and told them that we believed this was rather convoluted and that the money should go back to us once they have proof that the builder has been paid for the work. We are still waiting to hear about that as well. We are at wit’s end. The underwriter keeps changing the rules on us and it appears we have no recourse. If the appraiser will not sign off (which both the bank and underwriter indicated that he need not do and which, indeed, he said he would not do), they have the right to take all the funds held in escrow and have someone else of their choosing do the work which we have already had done by a reputable builder and paid for. Please help. How can we stop this underwriter from making arbitrary decisions at her sole whim? They are in a hurry to sell the mortgage and it seems like we are being put through the hoops to accomodate them. We already have the mortgage and the deed in our name. Why do we have to continue to jump for them? Hello, I’ll try to organize this inquiry. a. Lump, means I lose access to assistance programs, like Medicaid, food assistance, heating grants which I need to ease the OUT flow of funds on a fixed budget. However, the larger payment is desirable over the long haul. (A reverse agent says it is possible to sign the payment over to a family member’s account, right away, ratyher than have it in MY account… that THEY would not be taxed on it because it’s not income to them? Is this an OK option and true? )This would be like creating my own line of cedit without benefit of interest, would it not? b. Adjustable rate means I pay lower fees BUT get lower equity payout. On a line of credit, I would not have the Mediaid issue, etc. However,you suggest a likelihood of rates, in a few years, going up with my blood pressure to 8, 9, 10%? How would that impact a reverse customer who manages to be alive in 15 years? Could I end up homeless … bank takes ALL proceeds from a sale and I walk off … sorry, WHEELCHAIR-off into the sunset? c. BofA offering another fixed rate at 20 years ( loss of 3 years ), with $15000 out at a 4.375%, $804 total, $2081. closing cost … smarter or not? I hope I haven’t over done the number of questions, Bear, and sincere thanks. A close friend of mine in Indiana insists his mortgage was sold to a mortgage company in India and his ARM mortgage interest rate may go up from 9% to 29%. He claims they call him constantly threatening to continue to raise his payments. He also put down 30% when buying the house and the balance has doubled. Is this possible or legal? The banking/Lending industry & Government should of been on top of this, they sold the US working people out and either don’t care or don’t have a clue how to get to the answer to these questions. Every time I call i’m helpless because these people on the other end don’t have a clue or any concern. My question relates to every persons concern regarding to there morgage. We presently have a first morgage at a fixed rate with Beneficial and I am aware they are in trouble, I call and there call center and it is in India. We also have a Second with them at a fixed rate. Who is getting these payments and can the third party who holds the note increase the interest or create a forclosure if you don’t fit thier way of handling the note. I am very concerned, if we pay this off how do we get a lien release or is this a costly head ache. Sorry for not posting her answer, but she is not sure either. She said that laws in each state probably vary on the issue. I just asked her again if she found an answer for her home state (Indiana), or for any other state. Thanks Bear! Just curious, you say at closing the money needed to settle the third would be handed over to the state, but with the third lein doesn’t that mean that escrow cannot be closed? I thought that the third would need to be removed from the title before the purchase can be completed? By the way, what did your sister have to say? Our loan situation with our bank is very different from those situation described above. Our bank failed in May and we were 2 months from completing a home addition project. Our Construction Loan was with that bank. US Bank bought the failed bank but did not buy the loans, no one has bought the loans as of today. All fund distribution was stopped. We now owe $150k to sub contractors for work the was completed prior to the bank failure. We’ve been unable to secure a new construction loan, due to the current lending restriction and can’t qualify for a home loan because it’s not complete. Ex-builder is threatening a law suit which would result in a foreclosure. We never missed a payment! FDIC is claiming to help, but have been doing so since May and they’ve paid nothing. The FDIC will put nothing in writing, reply to no email, but have offered funds verbally. Does anyone have any ideas or experience on who/what would be a resource for a solution? I would imagine that the 3rd mortgage would be turned over to the state’s Department of Unclaimed Funds. At closing, the money needed to settle the 3rd lien would be given to the state. Then if GMAC can figure out what happened (or whoever holds that lien), they can get their money from the state by filing a claim to that property. It may vary from state to state. And, no, I have never heard of that happening. I have heard of liens that have been forgotten about (after 10 years) be claimed by the lien holder. In that case, it was a contractor who helped build the house, and not a bank. Either way, make sure you buy title insurance. I also now have a legal question for my sister (who is a lawyer) at Thanksgiving. I think that my question is along the lines of this post? I am in the middle of a short sale, as the buyer, and there seems to be a little something weird going on. The sellers agent has made mention that the third mortgage holder cannot be located. It was originally owned by Countrywide, sold to BofA, and then sold to GMAC. GMAC does not seem to have any record of it. It does show up in the county records as a thid mortgage. Wouldn’t the seller know who they are paying, or not paying for that matter? Has anyone ever heard of not being able to find out who the third lien holder is? I have a question. My question is this, my mortgage company went Bankrupt before I could make a monthly (August) payment. It was another month before I heard from the company (Bank of America or BOA) that purchased the mortgage. Now BOA sent an invoice for September but never sent me an invoice for August. I paid my September bill but BOA applied it to August which they have never sent me an invoice. Their debt collector department continues to call me saying I owe for August but with all the mortgage scams I refused to speak with them. I asked them to send me a August inovice but they refused to send one. What should I do? I had a construction loan and was in the process of building my dream home. The bank in which I had my construction loan failed. The bank who took over refuses to honor the loan and has now canceled the loan. With financing so tight I can’t find another loan anywhere. The bank is threatening to foreclose if I can’t find a new loan source. How can this happen? 1. legal notice pasted to ATM in the drive thru stated my bank has limited capital and more information will be given to customers at a later date. 1st of all, what make you think your bank is failing? Secondly, you should call your mortgage bank and get an explanation as to why they take double payments. They are not allowed to do that unless you authorize it. I would be very careful about converting your fixed rate debt into variable rate debt. Yes, the HELOC is very low right now, but will it be that way forever? Highly doubtful. As The Bear pointed out, rates are abnormally low right now. Yes, you are allowed to pay off a mortgage with a HELOC, regardless of who holds either loan. This assumes that the bank will let you draw on your HELOC (similar to Kurt’s situation). But before you move everything over to your variable rate, you do have to weigh the effects of that variable rate. What would happen if your 2.24% rate shot up to 8%? Or how about 12%. It is not likely to happen in the next few months, but a few years down the road, it could happen (I personally think we will see double digit rates in the next 3-4 years; but of course I could be wrong). In the 70s, most HELOCs would have had a rate over 20% at times. And they would have been over 10% for most of the 80s. And the that rate was 8-10% for most of the 90’s; so don’t get too used to these record low rates, they will go up eventually. On the other side of things, if you plan on selling the house, making extra payments on your house, or if you plan on getting a lot of it paid down over the next few years, then moving everything over to a HELOC may not be a bad idea. If you can have your mortgage paid down to $50,000 in the next 3 years, then paying a potential 12% may not sting so much. But of course to do that would mean that paid $131,000 over 3 years (will you have that kind of money?) And would you want to pay 12% interest on a $133,000 mortgage? (if you paid $800 towards the principle you would have a balance of $133,000 in 5 years). That would be $1,330 a month in interest alone! If you are paying 7% and plan on staying in the house for a while, and you do not plan on paying down a huge portion of it in the next few years, then I would suggest that you look into refincnacing your first mortgage. 30 year fixed rates are below 6% and 15 year fixed are below 5%. Locking in those low rates may be the better option. Regarding Donna Lukenbill’s mortgage question – I have a HELOC in Michigan where property values are falling fast. My bank just suspended all use of my HELOC due to the falling property value. They make the change usually one week before you receive the notice from them so you don’t run out and charge up a bunch of dept on the HELOC. So, be aware, this has already started happening all around the country. My mortgage is a fixed rate loan of 7% and I owe $110,000. My Home Equity line is for $200,000…rate is variable, but right now at a very low 2.24% and I owe $71,000. My available credit line is $129,000. 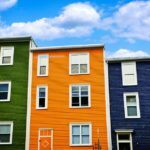 Can I take $110,000 from my home equity line and pay off my first mortgage of $110,000? Both mortgage and credit line is with the same bank. What the bank does with the mortgage has nothing to do with who owns the mortgage and who has the lien on the property. What the bank does after they originate the loan is they (usually through another company, like Freddie Mac and Fannie Mae) issue bonds to the public. The payment of those bonds to the bondholders are dependant on the mortgagee making their payments. They are not dividing up the ownership of the property, they are only dividing up any income that comes from the mortgage. As a result, the bank does not have to give up their ‘ownership’ in the home. I doubt that would be true if the bank cannot locate the deed. Each county keeps their own records of who owns property. The paper deed can be stolen or detroyed very easily. The county will keep their own records, and those records are the final word as to who owns property if there is any question about it. If the bank loses the deed to property, they can go to the county auditor’s office and request a new deed. If the bank really holds no interest in the loan how can they foreclose when you owe them nothing?How can they hold claim to any loss? Due to the fact the loan is owned by many holders isn’t the law that they all have to file in court to have the borrower removed? I am also seeing where the original lender who has no interest cannot locate the deeds,their is no proof of ownership. The squatters rights article a congress woman from OH had with Lou Dobbs stated home owners have the law on their side it that true. A debt is a debt and how can the loss of a peice of paper remove it? Thanks for your quick reply. The bank holds the deed. In the situation where the bank sells bonds backed by the mortgage, the bank plays the role of servicer for the loan. When the bank collects your payment, they will simply forward that money to all of the bondholders. If case of foreclosure, the bank will take the house. When they sell it, the proceeds go to pay off the bondholders. The bank may still hold the deed, but all of the bondholders can stake a claim to any money that the bank brings in as a result of the mortgage. With mortgage companies selling home loans in blocks and one loan can be sold to a thousand different investors,who holds the deed when the original lender has no ties to the loan and a thousand peices of the loan are spread arounf the globe? Many people have also asked me that same question mostly because I have been in financial services for the last five years. Although they are also wondering what will happen with there retirement plan assets if they had it in a mutual fund or an annuity and that company goes under? What are you thought on this? Because your mortgage is securitized and sold, the home note changes hands. So what happens if the note is lost (It happens far more often than you realize)? The answer is when the new mortgage company tries to bill you, you take them to court as an improper lien holder. If they can’t produce the note, they don’t have a valid lien on your home. Legally, you still owe the debt but if you’re facing foreclosure you don’t need to convince the mortgage company to agree to a short sell. They can sell it. However, in your case, it may keep the name WaMu for a while longer before becoming a Chase HELOC. Chase probably will not sell it unless they are in need of cash (it would probably happen if they bought too many loans and not enough deposits from WaMu). Remember, as long as you make your payments on time and the value of your home holds up, your loan is a money maker for a lender. Even a bank about to fold would be foolish to call your loan when there would be lenders more than willing to buy it. And as for the terms of your HELOC, those will not change one bit unless you agree to the changes, or they are consistent with your original loan agreement. Chase may have a different way to calculate your interest rate, or have different minimum payment options. Chase (or another lender who may wind up with your loans) still must honor your original terms of your HELOC, and mortgage, unless you sign an addendum to your original loan agreement. Your loan agreement may actually state what happens in such a case. I have experience with this as I once worked for a large bank that bought up a lot of other banks. What happens to a home equity line of credit in the case of WaMu failure? We have both our primary mortgage and a HELOC with them. Can they sell them to different parties or can they call the HELOC due since it is not a primary mortgage? We have about $15k on our line with max limit of $20k. What if I offer to buy the mortgage from my bank at a reduced rate? And if they couldn’t sell your mortgage, they would sell your house. Remember, the house belongs to the bank until you pay off the mortgage. I disagree, the bank has every right to transfer your mortgage. great info,it is so funny when a bank fails you still have to pay your mortgage , it is not my falt the bank fail.the bank should not be able to sell that mortgage to anybody. Don’t just get a letter from your original and new mortgage company, but call your original mortgage company and verify the information is correct. Go to the bank’s website, or call their customer service line, do not call the phone number on your letter. Not only is it easy to send a letter from a bogus bank, but it is very easy to find out who your current mortgage holder is. It is on the deed to your home. And many counties allow online access to that information, including who your current mortgage holder is. Thanks for bring that up. I work in fraud prevention and I can see a lot of perps ripping off innocent people like that (and I have seen a lot of scams in my time). Interestingly, we ended up with Washington Mutual for the reason that they did not sell their mortgages. We’ll see what happens with them in the upcoming months. Personally, I’ve had good luck working with their customer reps and would like to see them survive. Stacey: Correct. However, I’m not sure what happens in the case of a bank failure. Perhaps the old bank still sends a letter, or maybe the FDIC does it? Just a note: When a bank sells your mortgage, you should receive a letter from both the old AND new mortgage company, explaining the transfer. In the United States more than any other country, mortgages and other loans are “securitized” or sold. This process is in part to blame for the sub-prime mess because loan originators would write the mortgage, but rather than keep the mortgage on their books, they would sell the mortgage for a profit. This is a very common practive in banking, where a financial institution wants to mitigate its risks by holding a certain mortage or certain number of lesser quality mortgages by selling them off. Because loans are assets to the banks, deposit based institutions will often use their depositors dollars to buy these “assets” in order to make a profit. In simple terms ING may pay you 3.00% interest on your money and then take those deposits to buy a mortgage that pays 4.75% – profiting 1.75% (the spread) minus associated administrative costs. However, when these “assets” start failing, the bank is no longer earning its spread on the interest and the proverbial hits the fan!